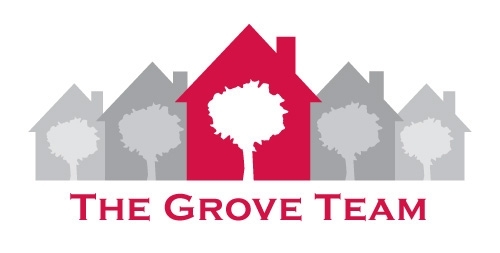 Why choose the Grove Team to sell your home? Why choose the Grove Team? Because the real estate industry is dynamic and continually changing, you need the guidance of proven professionals to represent your individual interests. As licensed professionals, our listing team is dedicated to providing maximum exposure for all sellers who have entrusted us with the marketing of their homes. With over twenty years of experience, members of our listing team are all licensed Realtors who proactively search for buyers for our listings. As experienced negotiators, they represent our sellers interest and have been able to negotiate an average of 96% of the asking price for our clients. Marketing both to buyers and other agents, an average of 46% of our listings sell in 30-days or less! Every member of the Grove Team is a licensed professional, most with over 10-years experience. Are you or someone you know considering selling your home? Contact the Grove Team here at the office, (817) 337-0000 or find us online, www.groveteam.com. Part A - Dwelling: This is the amount the insurance company estimates it would take to rebuild your home in the event your home is completely destroyed. This number consists of the building materials used to build the home, both interior and exterior features. In North Texas, you should expect a dwelling amount that is somewhere in the ballpark of $90 - $110 per sq ft. If your home has custom work done, like a custom kitchen or bath, then you might expect your dwelling amount to be higher. Part B – Separate Structure: This is the amount of insurance a homeowners policy provides for structures that are not attached to the home, such as garages, gazebos, or storage sheds. Generally, separate structures are covered at about 10% of the Dwelling amount. Part C – Personal Property: This is the amount of insurance a homeowners policy provides for all personal property kept on premises of the home. Which includes but not limited to electronics, clothing, furniture, home décor etc. Expensive items such as jewelry, collectible art, and furs have limited coverage. If the value of these items is higher than the limits provided for in the policy such as wedding or engagement rings, it is highly recommended that you add floaters to ensure that these items are insured to their full value. Part D – Loss of Use: This pays the additional costs of living away from home if a house is inhabitable due to damage from a fire, storm or other insured disaster. It covers hotel bills, restaurant meals and other extra living expenses incurred while the home is being fixed or rebuilt. Part E – Medical Payments to Others: In the event that someone is injured in a policyholder’s home, the injured person can simply submit medical bills to the policyholder’s insurance company. In this way expenses are paid without a liability claim being filed. This coverage, however, does not pay the medical bills for the policyholder’s own family or pets. Part F – Personal Liability: Liability coverage protects against the cost of lawsuits for bodily injury or property damage that policyholders or family members cause to other people. It also pays for damage caused by pets. Most people would identify their home as their greatest investment. At the same time, most people do not have enough in savings to rebuild, repair or replace their home and belongings in the event of a sudden loss. Homeowners insurance allows you to share costs associated with rebuilding or repairing covered losses with an insurance company. So when you think about it, insurance is something that helps protects your financial assets just as much as the property. Can you imagine if you didn’t have insurance and a tornado leveled your home? What would you do? The mortgage company will still want their money, right? And if you are like me, you probably don’t have $200,000 just sitting around in your bank account. Can you see how that might put you and your family in a bad spot financially? Here’s hoping you never have to make a homeowners insurance claim! The Grove Team would like to extend a big thank you to Jonathan for contributing to our blog. Jonathan is available to you to assist with this and all of your other insurance needs. Are you or someone you know in need of a real estate team? Contact us direct, (817) 337-0000 or find us online, www.groveteam.com. Do you have questions on the market activity in your area? Call the Grove Team direct for up to date information around you. Our number is (817) 337-0000 or find us online, www.groveteam.com. * What strategies will your team use to find a buyer for my home? * How do you determine the correct asking price for my home? * What type of communication can I expect from your team? For more information on selecting a real estate team, call us or visit our website, www.groveteam.com for more information. Are you in the process of interviewing agents to represent you in the sale of your home? The Grove Team would appreciate an opportunity to interview for the job! Call us direct, (817) 337-0000 to schedule an appointment and meet our team today. Including N Fort Worth, Keller, Roanoke, Southlake, Grapevine, Hurst, Euless , Bedford, N. Richland Hills, Haltom City, Richland Hills, Watauga, Arlington, Irving and Surrounding Area. Are you considering selling your home? Contact the Grove Team direct, (817) 337-0000 to discuss how our team can work to help you sell your home. Is your home renovation project really worth doing? Maybe you've watched one too many home improvement shows. Perhaps you're still stinging from that holiday guest's comment about how your kitchen countertop has seen better days. Or maybe you're just really tired of the same old, same old every day. Whatever the reason the remodeling itch has settled into your brain, before you bring in a contractor - or pick up a hammer - you should consider two important questions: How will you fund your project? And will it be worth it in the end? Fortunately, it's not difficult to evaluate the potential resale value. Kitchen and bathroom remodels, adding a deck, or finishing a basement or attic are all popular renovations because they upgrade the most-used rooms in the house or add living space. Another factor to consider when weighing the value of any remodeling project is how it will affect your quality of life in terms of financial security. It's important to be sure the cost of the project won't be a financial burden that detracts from your enjoyment of the results. To help understand your current credit status and how it might affect your remodeling loan terms, obtain a copy of your credit report. Websites like CreditReport.com can provide you with a credit report with your paid monitoring membership. Obtaining your credit report and monitoring your credit can help you identify any inaccuracies or errors that might lead to higher interest rates, and also catch and resolve potential fraud quickly. You'll also find tips on the website for understanding your credit, and tools such as a credit score tracker to help you anticipate how certain financial decisions - like financing a remodel - might affect your credit. Are you considering buying or selling? Contact the Grove Team direct (817) 337-0000 or online www.groveteam.com. How is the market - is now a good time to buy? The most common question we hear at the Grove Team is, "How is the market? Is now a good time to buy or sell?" The iconic financial paper in this country, the country’s most famous real estate investor, the most successful prognosticator of the housing market and 2/3 of all Americans say now is the time to buy a home. Are you or someone you know in the market to buy or sell? Call us on the Grove Team direct, (817) 337-0000 or online www.groveteam.com. The Grove Team would like to take a moment to introduce a guest blogger and service partner, David White with Prospect Mortgage. David has been kind enough to provide information for their FHA 580-639 FICO Program. We continue to lead the industry by providing world-class products and service to our clients! We are committed to extending the opportunity of homeownership through responsible lending that leads to affordable home loans. We offer an FHA program to borrowers with FICO scores between 580 and 639. This means more opportunity for customers to qualify for a home loan! Headquartered in Sherman Oaks, CA, Prospect Mortgage — including its Joint Ventures and Prospect Lending* — is one of the largest independent residential retail mortgage lenders in the United States. Our company is backed by Chicago-based Sterling Capital Partners, a leading private equity firm with approximately $4 billion of assets under management. I am also excited to share with you that we recently received Tier-1 ranking — a prestigious recognition and the highest level possible — by the U.S. Department of Housing and Urban Development (HUD), underscoring our reputation as an ultra-high-quality lender. If you would like more information or have any questions about how FHA loans and world-class service may benefit your clients, please call me today. (ARA) - The master bedroom has evolved into far more than a place where you hit the pillow and grab a few hours of sleep each night. Today, it's almost a misnomer to call these modern, multi-functional rooms bedrooms. If you're looking to renovate, expand or build a new master bedroom, think "master suite" instead. Don't just create a cozy room meant for sleeping, because in recent years it really has turned into so much more. The growing trend of making the master suite one of your immediate family's choice gathering spots stems from a flagging economy and the fact that more people are choosing to enjoy leisure time at home instead of out on the town. And believe it or not, many are choosing to spend it in the master bedroom. "The master bedroom has increasingly become a restful retreat within your larger home - a place where you can spend the day, if you wish, with all the comforts of a traditional family room," says Donna Schroeder, color marketing and design manager for Dutch Boy Paints. "The trend is to combine comfort with convenient amenities in an atmosphere that is peaceful and relaxing." One of the easiest ways to accomplish this is to look to sumptuous hotel suites for your design inspiration. Plush, comfortable and full of luxuries - big and small - hotel suites offer plenty of ideas you can mimic. You say you like coffee first thing in the morning? Why go down to the kitchen? Install a coffee bar, complete with an espresso maker, coffee grinder and a mini refrigerator to store milk for those extra-foam lattes. Don't expect to lounge on the bed with your cappuccino in hand. Reserve space in your design for an ample sitting area where you can put a sofa, comfortable reading chairs and even a state-of-the-art entertainment system for movie nights and lazy Sundays. Add a built-in customized entertainment center to house the latest and greatest gadgets for everyone in the house. You'll want to have room not only for the flat screen HDTV and Blu-Ray player but also the kids' gaming system, DVR receiver and a nook for Dad's sound system. You might also want to include shelves for Mom's prized collection of romantic old movies so she can watch them in the comfort of her bedroom haven. You can picture it already, can't you? First, however, you must set the stage for this oasis, using a serene palette of color and textures to accent the space and create a true sense of retreat. The first consideration? Paint and the color it provides. Your choice of paint will create the canvas that complements and highlights all of the room's other design features. "This year's color trends are inspired by everyday life, making them versatile in any setting, including a master suite," Schroeder says. "One collection that works especially well is one that reflects a practical way of life - a true functionality." In this palette, texture is key and colors are soft and faded. Windswept and washed effects, as well as monochromatic layering, set off this modern collection. Inspired colors from Dutch Boy's innovative Color Simplicity System include Boardwalk Blue, Composed Bloom, Spruce Hollow and Range Brown. Another palette working its way into the contemporary master suite is one that revolves around technology - which also reflects the modern amenities that are incorporated into these living spaces. In Dutch Boy's "Abyss" trend for 2011, soft neutrals and grays complement the true serenity of a master suite and the reflective alone time you appreciate when you're away from today's sometimes overwhelming abundance of technology and instant communication. Consider such hues as Dutch Boy's Gargoyle Shadow, Fresh Linen, Pursuit of Happiness and Piccolo. Nothing ties a room together better than luxurious design elements like custom-made fabric headboards and coordinating bedding in silks, Egyptian cottons and other natural fibers. Think mix-and-match when it comes to furniture - eclecticism rules in 2011. The pervasive influence of steampunk - a quirky mix of old and new - makes it perfectly fine to blend a contemporary platform bed with an ornate, Victorian dresser. The style is flea market meets high-end, and it looks great. "Life moves at a rapid-fire pace these days, and a master suite is one place where you can get away from the hustling pace and just take a deep breath," Schroeder says. "When creating your sanctuary within your home, take time to consider all the design options so you can have a space where you can escape from responsibilities, deadlines and outside noise and simply just relax." Are you or someone you know thinking of buying or selling? Contact the Grove Team to schedule a time to meet and discuss how our team can be effective in assisting you realize your real estate goals! 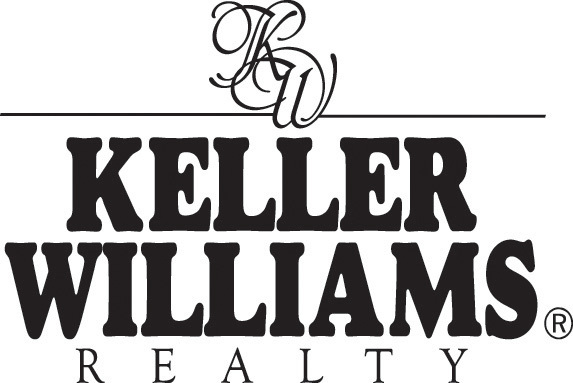 The Grove Team, Keller Williams Realty would like to take this time to send a special thank you to all of our clients. It is with your repeat business and referrals that 53% of our business in 2010 came to us. We appreciate your confidence in our team! Should you have an family or friends in need of a real estate professional, please continue to keep us in mind. (ARA) - The Great Recession inspired many Americans to better manage their finances by cutting spending, saving more and tackling debt. But one aspect of good personal financial management may be harder for many to manage - understanding their credit. That could be because many of us don't fully grasp the mechanics of credit scores and credit reports. You may realize that having good credit can profoundly affect your financial health, but you may not be sure how to take control of your credit. Fortunately, it's not difficult to demystify credit management. A few simple steps can put you on track to take control of your credit this year. Your first step toward a healthier credit future is to get a clear perspective on where you are now. If you haven't looked at your credit report in a while, now is the time. Websites like CreditReport.com allow you to obtain and review your credit report - a move that can empower you to make better financial decisions. You'll get your free credit score as a reward for enrolling in Experian's credit monitoring product, a membership that can help keep you abreast of changes - both good and bad - in your credit report and score. By monitoring your credit report and score on a regular basis, you'll be better equipped to make financial decisions, and will be more aware of your ability to use credit. Get educated on what's on a credit report and how credit bureaus use that information to calculate your credit score. Generally, credit reports include detailed information of an individual's payment history with various creditors. Among other factors, bureaus consider three key things when calculating your score - the length of time you've had credit, the ratio of available credit to credit used, and if you pay your bills on time. At a time when debt is high in many American households, it may be difficult to remember that not all debt is bad. Debt that is secured by a tangible asset, such as a home loan, or that builds your family's future, like a college loan, can be good debt as long as you manage it wisely. When looking for a mortgage or college loan, start out by knowing your credit score, then shop around for the best rate and terms. And be sure to avoid borrowing more than you can comfortably repay. Pay down credit card debt, which is generally perceived as higher-risk - and higher interest - debt. Avoid using credit cards to pay for things that you should be paying cash for, such as groceries, utilities, restaurant meals or vacations. If you use credit for these things, which rapidly get consumed, and you can't pay off your bill in full right away, you could wind up in debt very quickly. If you already have credit card debt, never pay just the minimum balance due each month; it would take years to pay off just a few thousand dollars at that rate and you'll pay much more in interest than the amount you originally borrowed. Always pay more than the minimum, and concentrate on paying off cards or loans with the highest interest rate first. One exception to the pay-it-off quick rule may be your mortgage. If you're able to make your monthly mortgage payments without struggling, concentrate on paying off other, higher interest, unsecured debt first. The interest you pay on your mortgage may be tax deductible, but the interest you pay on credit cards is definitely not. Are you curious where you stand with your credit and are ready to look at purchasing a new home in 2011? Call the Grove Team direct - we can assist you with talking to the right people before getting started. As will all of our services, there is never a cost or obligation.